I crafted this at a leisurely pace, just like the cool, leisurely day we've had over here on our usually sunny island. 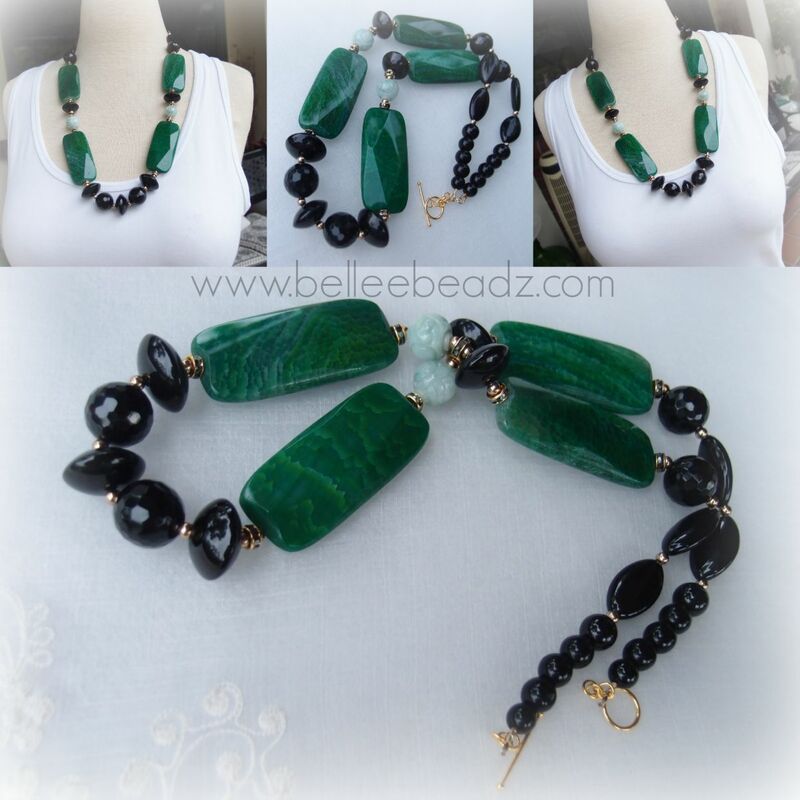 Large, elongated, faceted green agate focals - 55mm x 25mm, carved jade, smooth and faceted black onyx complete and complement the green agate. Total length approx 25"